Nancy Gideon... Romance By Any Other Name: IWSG: Which Door to Choose . . . Though I am still working with small press BelleBooks/Bell Bridge/ImaJinn who reissued my Dana Ransom contemporaries last year and will do so with my Nancy Gideon vampire romance series starting next month, and I’m still waiting to hear on a YA paranormal series proposal that’s been languishing at one of my NY publishers, I’m spinning my wheels on where to turn my immediate attention: to the next book in my “By Moonlight” shape-shifter series, to reissues of my historical backlist along with new volumes in each, self-pubbing a romantic suspense that’s completely written or shopping it with publishers, or fleshing out the outlines for a historical YA paranormal series? Or watching Netflix and taking a nap . . . Unfortunately Netflix and nap is winning. I’ve been resting on my creative laurels with the January reissue of IN THE WOODS, the horror novelization I wrote years ago as a precursor to the Indie film of that same name. The film’s 15 Year Anniversary screening and upcoming release on VOD and Blu-ray (for which I just recorded a commentary track with the director/screenwriter and hunky leading man!) stirred up a renewed passion for the movies. So maybe that IN THE WOODS 2 screenplay may be in the works soon . 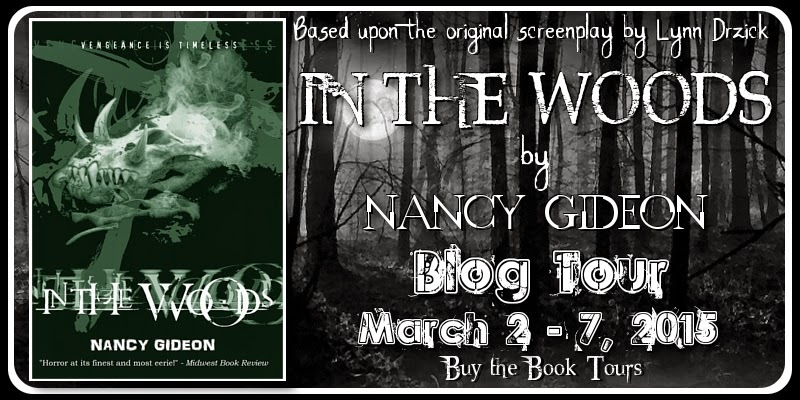 . . Here’s a look at IN THE WOODS, now available on Kindle. So many choices, so little time and it’s time to pick one and move forward. I’m presenting a program on DEADLINES: MAKING THEM, USING THEM, KEEPING THEM to my local RWA chapter mid-month so I’d better start practicing what I preach. How do you kick yourself into gear when it comes time to pick your next project? 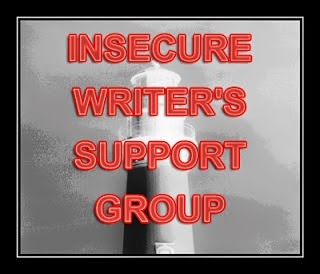 IWSG awesome co-hosts for the February 4 posting of the IWSG will be Gwen Gardner,Dolorah, Sarah Foster, and M. Pax! What a great place to be in your career, Nancy. In charge - as it were. Best of luck with all of it! Like the Netflix and nap option. Just don't overdo! Congrats on putting yourself in a position to have all these great choices, Nancy. You can't go wrong with any of them...unless you abuse the Netflix/Napping option! I'm not doing a very good job at kicking myself in gear right now so I'd really love to hear your program on Deadlines. Nancy, I never knew there were so many doors! The choices are bigger than Let's Make A Deal! I'm confident that whatever door or doors you choose you will be successful. Write on!! Isn't it wonderful to have options? Sometimes so many that napping seems like a great choice. You are such a dedicated writer. I've always admired that in you. You'll make the best choice. I'm looking forward to your talk in a couple of weeks. I really need it! Actually, I can see that you do have a difficult decision. On the other hand, because you are in control of most of these choices, if you pick one and soon discover either your heart isn't in it (right now) or a new idea suddenly takes hold of your thoughts, or that YA option comes through, YOU CAN CHANGE YOUR MIND. I know, for an OCD person that's not easy, but don't let where to start keep you in that chair watching Netflix. I love having choices but sometimes too many makes it harder to go in any one direction. 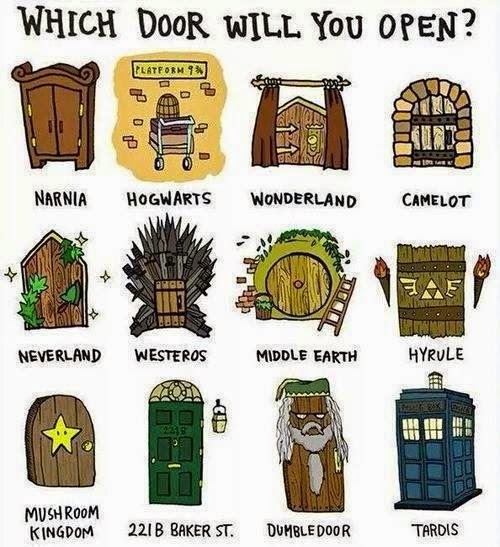 I'm excited to see what door you enter, because they are all winners! WOW, too many choices seems like a good thing. But wait! Not really. When given too many choices our heads tend to rotate and tilt. Sit on it, and hopefully the right door will crack open for you! I'm all for you writing another "Maxed-out" shifter romance, but that's just selfish, right? Well...the heart wants what the heart wants. Anyway, whatever you choose, you'll do a superb job as always. I LOVE freedom! I'm kind of pinned in with my current publishing situation, but at least it's something I like. But I also love watching crime shows and it makes me sad to realize I'll probably never be able to do anything with that love...unless I write under a different name. I've written under three pseudonyms plus my own name. Time to branch out, Stephanie?? Sometimes something totally new brings a new energy to all your writing. Wow, lots of good things happening for you. Sometimes I just have to close my eyes and click in My Documents and work on whatever randomly comes up. LOL! Maybe I should try that! I've started setting month by month goals to keep myself moving forward. Otherwise I could dither my time away!